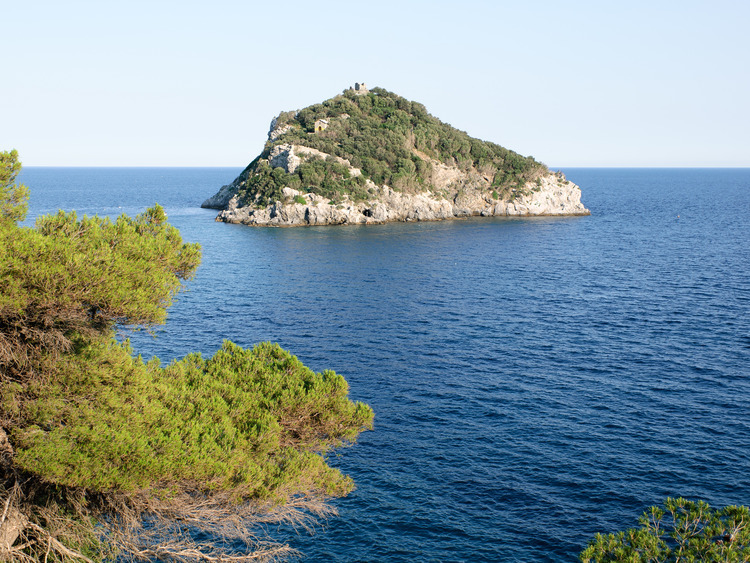 Dive into the Ligurian Sea to discover the magnificent sea beds of Bergeggi Island, which is presently a protected marine area, which includes cliffs rich with caves and small openings, and where a treasure trove of biodiversity, history and legend awaits. We will depart by raft from the port of Savona heading for Bergeggi Islet, located opposite the municipality of the same name. The island, also known as the Island of Saint Eugene lies almost 200 metres from the coast and appears as a limestone rocky cone covered with Mediterranean plants, one of the most popular tourist attractions in the region amongst those who love snorkelling and sea environments. The island shows signs of human settlements, with the Ligurian populations which date back to the pre-Roman period. As we come up to the island, at the top, you will be able to see a circular base watch tower. Whilst snorkelling, from the water surface, we can admire the coral beds rich with algae and the characteristic marine animal life of the Ligurian Sea. With the more sandy sea beds, it is possible to admire the Posidonia seagrass, and at times, we may be even surprised by anemones, shellfish and small, colourful fish. After snorkelling, we will return to the port by raft. This excursion requires that you know how to swim and that you are physically fit. During the excursion, participants will be provided with mask, snorkel, flippers and life jacket.